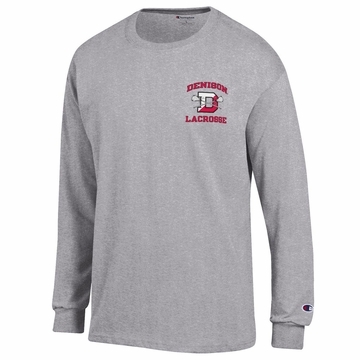 Show everyone that you support one of the most storied D3 lacrosse teams in the nation with this Denison Lacrosse long sleeve shirt. 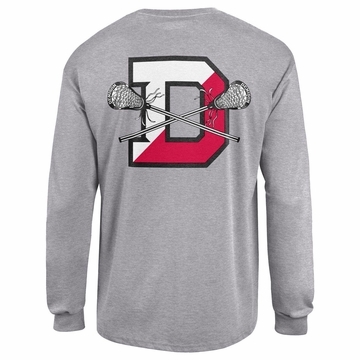 The shirt features a small logo on the breast with the words Denison Lacrosse, the Denison D, and overlapping lacrosse sticks. The same logo is featured on the back, however it is much bigger, taking up the majority of the back of the shirt."